Here is the latest version of the breviary code revision! There are a few bugs that I’ve found so far—notably around the “Previous Office” button moving from Morning Prayer to Compline. I’m still revising it and am working on a “Save” button. This entry was posted in Breviary, Tech on May 10, 2016 by Derek A. Olsen. Since my previous post, I’ve been able to log some significant time getting bugs fixed and features added to the new code base. The Prayer for Mission is now a choice; all of the options are available, but one is made active. If you’re overwhelmed by options, you can get rid of most of them with the “Simplify Options” button. A number of things will appear now as they ought too—hymns, commemorations, etc. The right creeds are with the right rites. Kalendar selections exist now. There are only three options at the moment: Lesser Feasts & Fasts 2006 (the official Calendar of the church—more on this anon), Great Cloud of Witnesses (made available at General Convention but not yet published in tangible form), and my own idiosyncratic House Kalendar. I’ll add back more as time allows and as I receive requests. If you begin on a day with ferial psalm antiphons, select a kalendar that is observing a saint, then decide that you really want to go back and not celebrate the saint, the code has trouble recall the initial ferial antiphons. There are some things I haven’t gotten to. Chief among them is a way to capture/save/apply preferences. I think we’re really close on this one; I’m just trying to determine if there are some more elegant ways to make it happen rather than a basic brute force approach. Non-current BCP adds. Some folks have recommended some additional changes not yet included. I am both sympathetic and supportive of these—but not right now. The mission on the SBS is to provide an office with full options that is licit within the rubrics and rules of the ’79 BCP. I may well consider incorporating some of your earlier or ore far-reaching options once I can get the core material nailed down—but the core material does now and will always take precendence. Yes, both canticles deserve antiphons. And, I have a nice model for Evening Prayer in the Palmer Evening Office antiphon book where there are appointed Magnificat antiphons coupled with broadly seasonal Nunc Dimittis antiphons. However, that raises questions. What if the first canticle at EP is something else and the second is the Mag? Where does the Mag antiphon go? With the Second (Gospel) canticle? What about a good source for MP First Canticles? This entry was posted in Anglican, Daily Office, Tech on April 19, 2016 by Derek A. Olsen. As you’ll see, most of the usual breviary options are present. The two main areas that I intend to get to but have not yet fully addressed are the Calendar/commemorations and a mechanism to save individual options. However, on the latter I think you see that selecting options is no longer the hassle it could be with the earlier editions. This entry was posted in Liturgy, Tech on April 8, 2016 by Derek A. Olsen. I just got a hold of Logos 6… As I mentioned briefly at the end of the last podcast, I’ve been using Logos software to do biblical work since my last couple years of college which are now 20 years ago (!). Back then, it was one of the few software packages to actually offer Greek and Hebrew texts. Clearly, that’s still a huge bonus for me. I haven’t used it as much over the years, since so much of my work has taken me in medieval directions, but returning again to Logos I’m very impressed by the feature set. Basically, I see this system as two tools in one. Second, it is a library system in that it can give you access to a wide variety of secondary sources—commentaries, sermons, doctrinal works, patristic texts, classical texts, etc. There are a lot of these. Do keep a careful eye out here. The easiest way to make a lot of material available electronically is to use texts that have fallen out of copyright and are now in the public domain. This is a tactic that I saw across the religious software market back in the late ’90s and early ’00s when several players decided to get into the game. They would include lots of Bibles and lots of devotional texts, but they tended to be 19th century translations or materials frequently incorporating dubious theology. Too, much of the biblical reference material was sadly out of date. Now—I have a couple of gigabytes of public domain PDFs on my hard drive, most relating to either medieval or early Anglican liturgical and doctrinal material. Just because a text is old doesn’t mean it’s not worth using (obviously!!). However, I know what the good stuff is, and how I intend to use it. Logos also clued in to this! They now offer denominationally based packages that are curated by people in those various traditions, and who have a sense of what is useful for people in those traditions rather than stuffing the box with material that is theologically at odds with it just because they can. Thus, I’ve got the Anglican package. I’m happy to say, there’s quite a bit of overlap between the material I’ve already collected on PDFs, and what I now have access to in Logos plus a whole pile of material I wouldn’t have otherwise acquired. The advantage of having the material within this system is that, unlike most PDFs, I can search it and locate things easier than before. As a student of the history of interpretation, though, what I’m really enjoying is the integration between the biblical tools and the denominational material. When I’m in the biblical text, one of the options is the “Passage Guide” which will—by means of cross-references—pull up references to how that passage was used in other texts within your library. When it comes to looking at how patristic and medieval authors used a given text, this feature is invaluable! It’ll pop up a results box identifying specific sermon or commentary references where various writers quoted or alluded to the text being studied. Hence, if you want to look at how a given text was used across a field—say, the Latin Fathers or the monastic tradition—this tool makes it much faster and easier to identify who, what, and where. The other thing I want to say about it at the moment is that the cross-platform functionality is great; the app version I have on my Kindle and phone syncs with what I have on my desktop. For instance, I’ve been working through VgPs 17 this morning, and when I pull up the app on my Kindle and switch it to the Vulgate, it pulls up VgPs 17:14 which is just where I stopped on my desktop! Too, many of the same biblical language features available on the desktop are operative on the Kindle meaning that I can do the same sort of word studies/concordance work when I’m hanging out at ballet on chauffeur duty for the elder daughter. Since I just got it, I’m still playing with it and am figuring out what all it can do and how to set it up best to help me with my research and writing. What I can say right off, is that I can see some immediate applications for its toolset to improve both the psalmcast and the Cassiodorus book that the psalmcast is supporting. I’m seeing that there are some “community” features that could be interesting in terms of collaborative study; I don’t have much of a sense of these yet, but there could be some interesting directions there too! This entry was posted in Anglican, Scripture, Tech on January 26, 2016 by Derek A. Olsen. What do you look for in a devotional app? When I say devotional app, I’m thinking of something like, say, the Forward Movement app for the iDevice prominently featured in my sidebar. 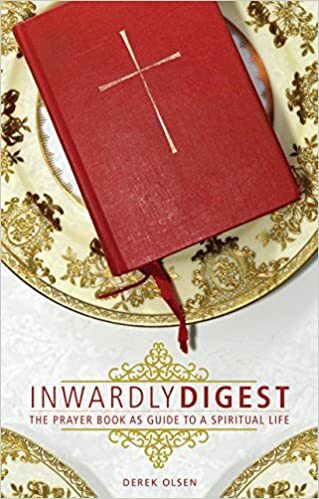 It contains the Forward Day by Day devotional and it has the Episcopal Daily Office on it as well as some other stuff. I know Church Publishing has got an app out there as does the Church of England. What’s your sense of these things? Have you used them? Do you like them? What do you like most? What really annoys you about them? What’s that one thing that would make it even better? More features or less features? This entry was posted in Anglican, Liturgy, Tech on December 18, 2014 by Derek A. Olsen. The good folks at Logos Bible Software have sent me a review copy of their latest work, the Anglican Base Packages. I’m going to be writing a formal review for this software for The Living Church, but as a means to prepare for that, I’ll be putting it through its paces and posting informal reviews here as I work through various sections of it. A little back story… I first used Logos Bible Software when the religion department at St. Olaf got a computer lab and installed it there 20 years ago (!). I liked it enough that I bought a copy for myself that I used through the latter half of college and my first few years in seminary. Looking through the old files on my hard drive, I found a review of it I wrote 10 years ago while assisting in the revision of the third edition of Biblical Exegesis. I liked it then too, but thought its search capabilities at that time came in second to the other big dog on the block, BibleWorks (then version 5). Since then, I haven’t done a lot with Bible software. I’m curious to see how far progress has come in the last ten years! When I first got involved with Logos, it tended towards two main markets, Bible-studying evangelicals and academics. They were one of the first early systems to have good original language support, but a lot of their English-language library add-ons tended towards conservative evangelical devotional materials—mostly things that had gone out of print. In the days before Google Books, this was a good thing if you wanted such material. These days, post-Google Books, you have to step up your game significantly! In recent years, they have produced a product line specifically geared towards Roman Catholics called Verbum. In addition to biblical materials, they included good resources across the span of church history—from the Fathers through the medieval period up to the modern day. Now—it’s our turn. Just looking at the number and span of resources in the Anglican Base Packages, I’m blown away. The people who put the list of resources together really knew what they were doing. It has many of the patristic and medieval resources that were in the Catholic set, and includes a wide array of Anglican authors through the centuries and across party divisions. Naturally, it has a strong prayer book section. The biblical material looks great too. I plan to look at all of these areas in detail in further posts, so I won’t dig into them here. Overall, my first impression of the package has been fantastic! Bellingham, Wash., March 27, 2014 — Logos Bible Software has announced a new line of scholarly libraries tailored to Anglicans/Episcopalians. The new “base package” libraries offer all the features of Logos’ nondenominational base packages, with a resource lineup that meets the specific needs of Anglican scholars and pastors. Conventionally, in-depth study requires access to a large physical library and large blocks of time for study and reflection. Logos’ Anglican base packages aim to overcome these barriers — they include hundreds of titles from the Anglican tradition, accessible on a computer or mobile device. All the resources are linked using Logos’ proprietary code, enabling users to jump between Scripture and Tradition with a click. This means Anglican scholars can spend less time on busywork and more time learning and reflecting. Logos has been creating world-class Bible software for more than 20 years. It has almost 2 million users in more than 210 countries, and partners with more than 200 publishers to provide the best content from the scholarly world. Logos’ in-house biblical-language and theological scholars do original research and consult on software development. Last year, Logos hired an Anglican expert, Ben Amundgaard, to design a product line that would meet the needs of Anglican and Episcopalians. Amundgaard consulted other Anglican scholars and emphasized the classic Anglican integration of Scripture, Reason and Tradition; the result is a biblical and theological library customized to the needs of Anglican scholarship. This entry was posted in Anglican, Tech on April 1, 2014 by Derek A. Olsen. I can now report that we have accomplished this with the partnership of Church Publishing. There is no news as of yet on the accompanying “Enriching Our Music” service music that goes with it. Now, as some readers know, I am not EOW’s biggest fan. Indeed, I’ve only read through some of these liturgies, and have only experienced a few of the Eucharistic rites one or two times many years ago. On the whole, I was not overwhelmed. There are some assumptions that EOW reflects what “the next prayer book” will look like. They are just that—assumptions. Per a discussion at the last meeting of the SCLM, these rites have no official status. There are certainly those who want to see them as the next step, and as heading in a prayer book revision direction, but that is not the mind of the SCLM now, and I am not eager to see any work of prayer book revision anytime in the near future. This entry was posted in Anglican, Liturgy, Tech on November 12, 2013 by Derek A. Olsen.